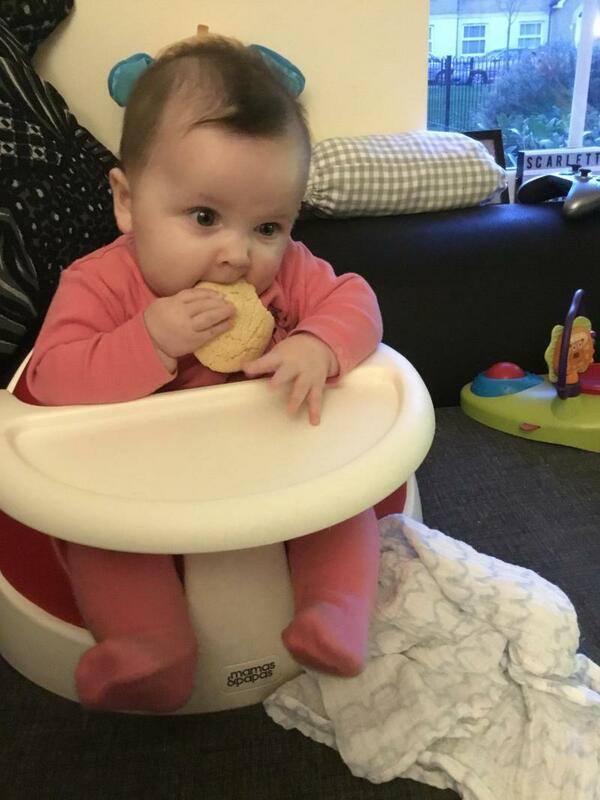 My baby loves rusks, it was one of the first things she had and she still loves munching on them. We have them as biscuits and mixed with milk to make porridge. She loves them both. Good fallback when you're out and about and have a hungry little one! Always good for back up and Greta when teething. Can't go wrong, been going for years and will be going for more to come! Great when little one is teething and for smacking when stuck out. My son loves these! He’s just started having little bits of food and he loves to hold this and have a little munch in between bottles! Definitely a hit and super cheap for what you get too! We always have Farley's rusks in the house as all members young and old enjoy them . Usually straight from the packet as a quick and easy snack. Our youngest loves these mixed with warm milk, chopped bananas and blueberries. Big thumbs up from all of us. 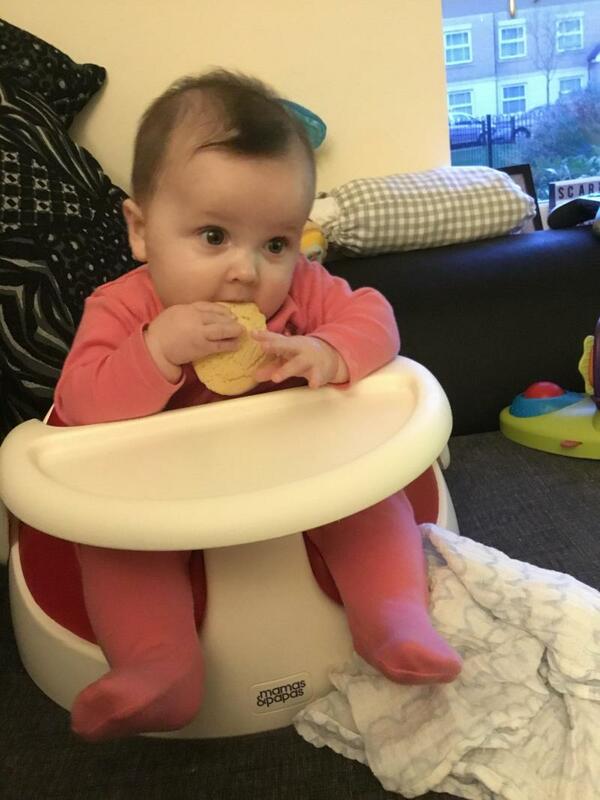 No matter what age you are, you never grow out of loving a rusk. They are tasty for all. They are moreish so if you struggle with self control watch out! These are a fab treat to pop in your bag, regardless of weather u have babies or not! Me and my older kids love them. My son had these at 5 months old, helped with weaning. These are priced at a good price. I have used farleys rusks lots of times, great for little ones to snack on or a great breakfast mushed up with milk. I personally love them too!, and they also come in less sugar. Can either be softened down for the younger babies, or eaten as a biscuit for the older babies. Contain quite alot of sugar. 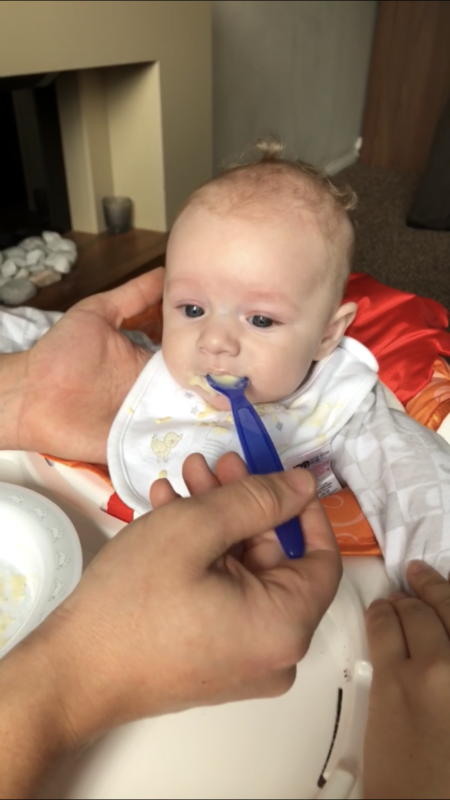 My son is 4 months old and he loves a rusk mixed with his milk before bed! Easy enough to mash up with the milk too! Can be messy when it comes to feeding time! Easy for little one to hold and nibble on. Rusks have been around forever, so I was so excited when my little one was able to try these, and ever since she had that first lick she has loved them, she often has one after some fruit, these are very handy for an extra treat. The only downside is they are so messy and sticky once she has been licking them. I Have always loved rusks even as an adult. My son loves them. It is a great starter food to start weaning if you add a bit of water, however if sucked just as great. Nice and sweet. Great snack. We love rusks even mummy does. They are easy to prepare and tasty to. They are easy as an on the go snack for older babies or equally go mashed up with milk. 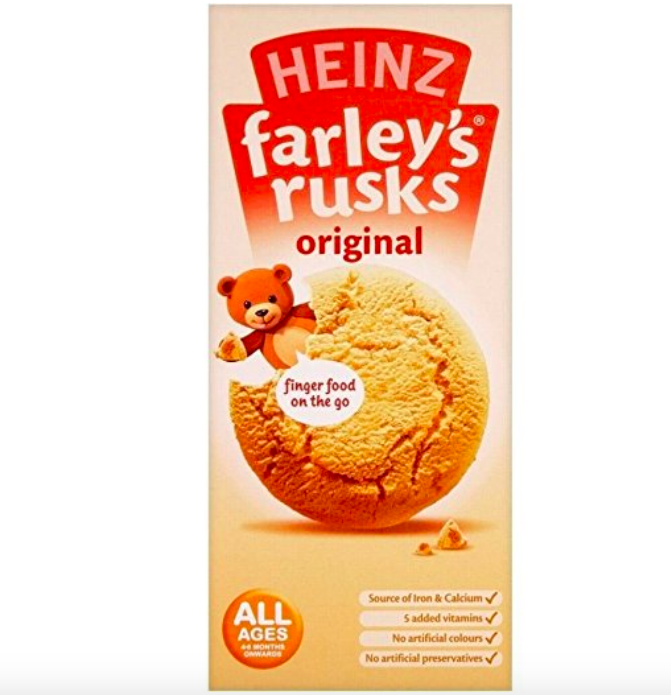 You cannot beat a Farley rusks, this was one of the first foods my little boy tried. It’s very easy to mix with warm milk to make it into a porridge like substance and my little boy absolutely loved it. As he got older he was able to start eating it like a biscuit and then as a snack in between meals. He absolutely loves Farley’s rusks. Good price recommend highly can been given while when teething for something to bite down on or when little good dissolved with milk, my family have used them for years with all the babies in my family and little ones love them. Messy when baby eats them on their own! I love making these with the baby’s milk every now and then as I know he will eat it all up! Only need a tiny bit of baby milk to get a nice consistency. If he does try to eat one as a biscuit it can get a little messy and can bite off more than he can handle as doesn’t dissolve right away. Helps with him learning to chew, however! Perfect for my babies first weaning taste session. He enjoyed it lots! But a little hard to prepare if you haven’t done it before. I like giving my daughter these rusks sometimes as a snack as they can be eaten in different ways. They are very easy to prepare mixed up with some milk or given to baby just like that. They melt in the mouth so there is no risk of choking. 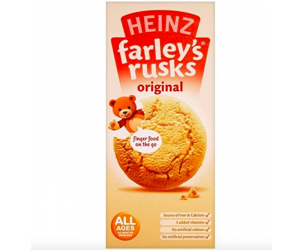 The Heinz Farley's Rusks Original are a classic snack, made from quality baby grade ingredients. They easily dissolve in little mouths, making them ideal for babies who are able to start feeding themselves. Suitable for vegetarians. Packed with 7 key vitamins & minerals. Contains iron and calcium. No artificial colours, flavours, or preservatives One Rusk provides 20% of your baby's daily iron requirement. No GM ingredients.